Customer/Mate™ helps dealerships create templates and custom one-off messages so you can market and upsell to prospects and existing customers. 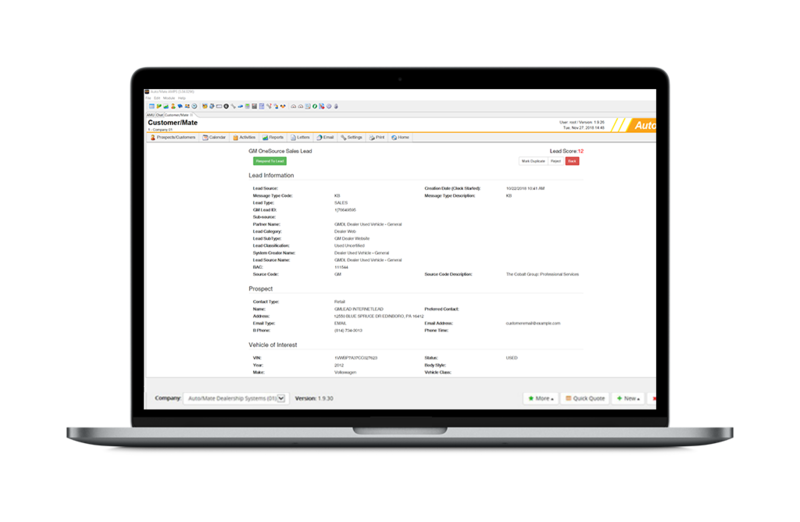 Auto/Mate’s Customer/Mate™ CRM gives dealerships a simple and intuitive way of identifying hot leads so you can sell more cars and upsell additional accessories and services. Our integrations to most major manufacturers and third-party tools automatically collect digital leads who are shopping for a particular car in your area and automatically adds them to your database. 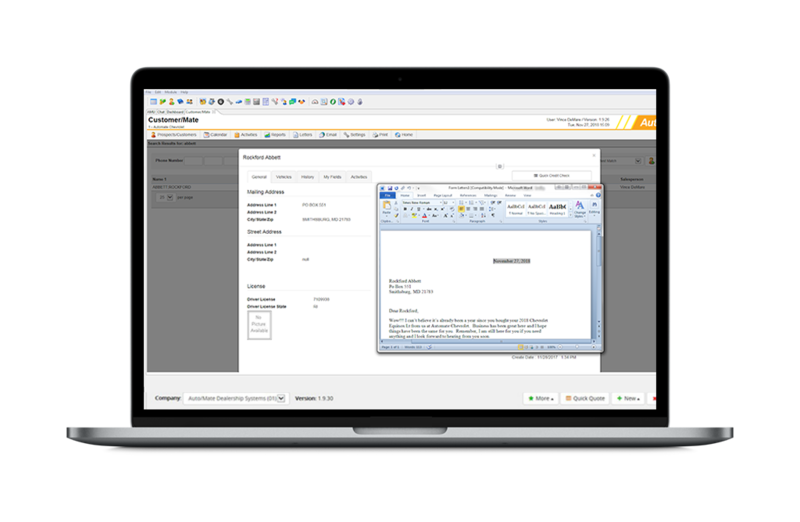 Equipped with customizable email/letter templates and follow-up task assignments. The more prospects and customers hear or see your dealership’s name, the more inclined they are to walk through your door. Customer/Mate™ creates templates and customizable one-off messages to prospects and current customers to increase brand awareness. Qualify leads by pre-screening prospects’ credit scores. Our direct integration to 700Credit allows you to pre-screen your prospects before they even walk through the door. No social security number, no date of birth. 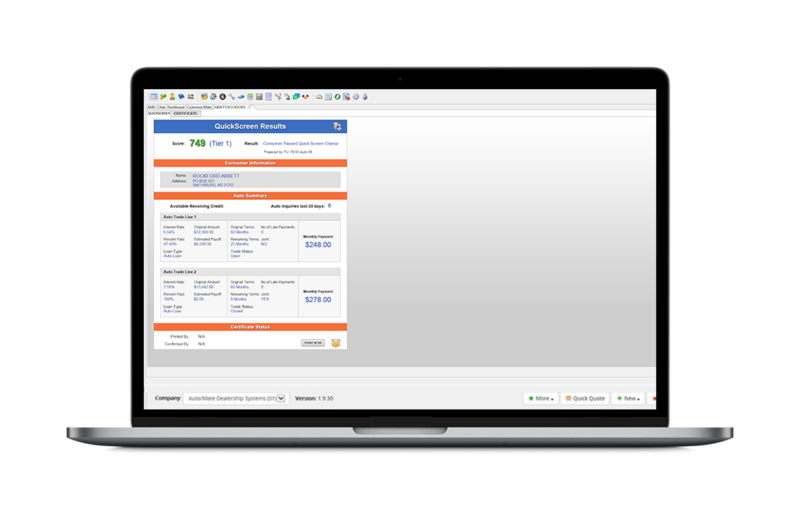 Now you can qualify and prioritize your CRM leads using soft credit pulls and send them pre-qualification certificates. 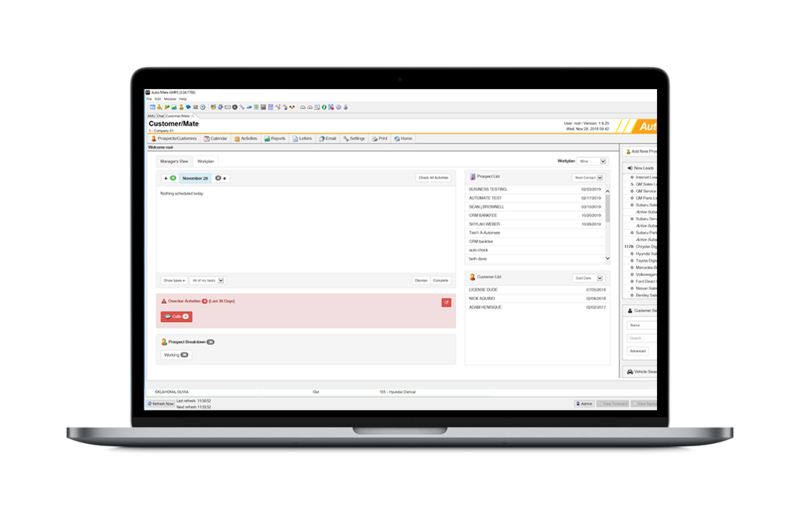 Capture digital leads online with OEM and third-party integrations. Don’t have a strong website getting plenty of traffic? No worries, Customer/Mate™ integrates with most major manufacturers and third parties to collect digital leads searching for new vehicles online. These leads are then automatically added to the database for your salespeople to follow up on. We collect the data, you make the sale.